Men’s Sheds are community based, non-profit, non-commercial organisations that are accessible to all men and whose primary activity is the provision of a safe and friendly environment where men are able to work on meaningful projects at their own pace in their own time in the company of other men. Click on the residents’ names or photos for more information and to listen to their stories. 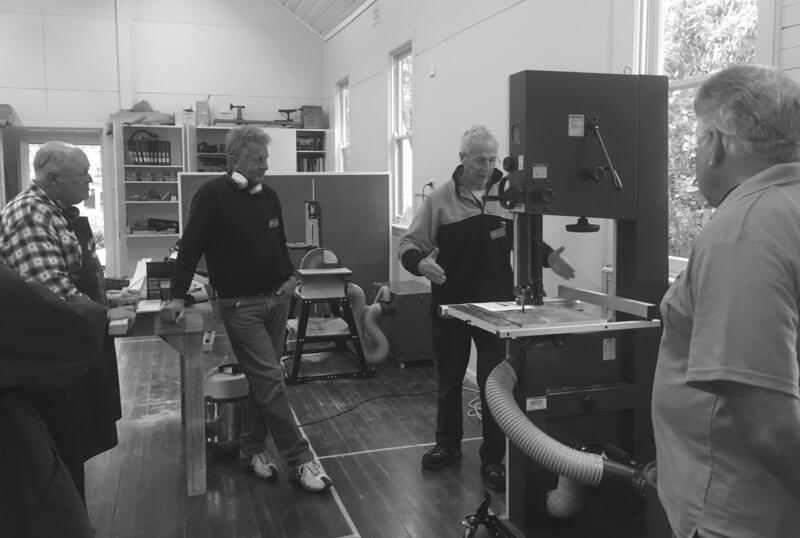 Michael has been involved in the Men’s Shed at Helensburgh since the idea was first discussed in the community in 2010. Listen to Michael’s story here. Bill is a long-time member of the Port Kembla Men’s Shed and tells us about the kinds of projects they do, as well as the mental health benefits for the members. Listen to Bill’s story here. Ron has been involved in the establishment of the Albion Park Men’s Shed since its inception in 2006. Listen to Ron’s story here. This is an ongoing project and we welcome your contribution. If you are interested in sharing your recollections of Men’s Sheds in the Wollongong City Council area please contact us.